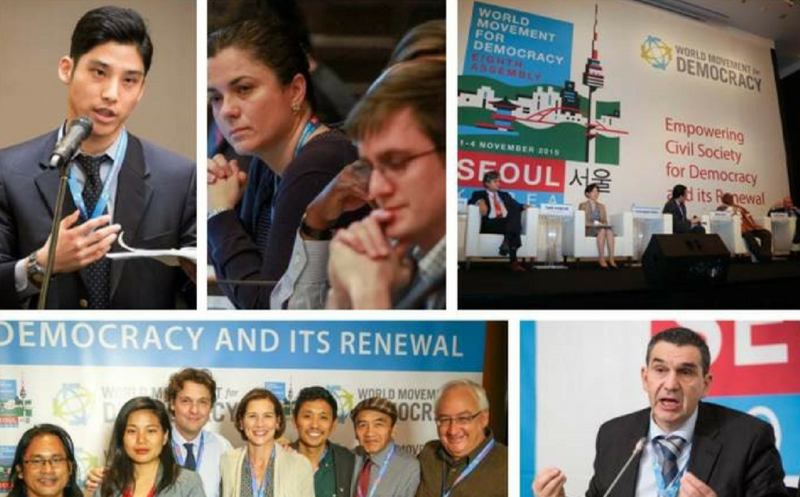 The World Movement for Democracy is a “network of networks” that connects and unites people and organizations around the world who are working on a daily basis to promote democratic values and build and strengthen democratic institutions in their respective countries. The Movement, for which National Endowment for Democracy serves as the secretariat, is directed by an international Steering Committee of distinguished democratic activists and thinkers, chaired by former Canadian Prime Minister Kim Campbell. It has held eight World Assemblies funded mostly with non-public funding. The Ninth Global Assembly of the World Movement for Democracy took place on May 6-9, 2018 in Dakar, Senegal. The Ninth Assembly served as a forum for democrats around the world to exchange their understanding of today’s challenges and their potential solutions, and build new strategic partnerships with others.